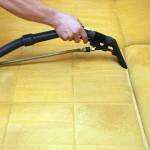 For professional upholstery cleaning in Vancouver, WA, call First Choice Janitorial Services. When furniture is handed down or bought used you may be inheriting stains, smells, and wear. When you buy it brand new, eventually time and wear will create stains and odor for you. No matter how you came to own your furniture, upholstery cleaning can have it feeling like new again. 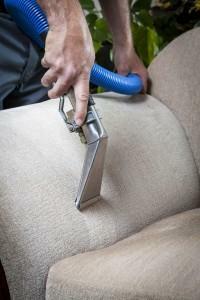 Upholstery cleaning for Vancouver, WA is efficient as well as affordable. Before you consider reupholstering or buying new furniture, consider the benefits Vancouver, WA upholstery cleaning provides at a fraction of the cost. Visually appealing upholstery – Professional upholstery cleaning in Vancouver ensures your furniture will look as new as possible. Our technicians use green methods to bring your upholstery back to life. Extensive training in best practices and over 15 years of experience ensures results you’ll truly be able to see. There’s no reason to get new furnishings when cleaning can give your’s new life. Freshly scented upholstery – If it didn’t come with a smell, furnishings develop them over time. Scent can become trapped in fabric. Sprays may mask it for a short time, but it never really comes out. Upholstery cleaning Vancouver WA will remove scents from your furnishings, leaving them pristine and fresh. Upholstery longevity – Even though you can’t see it, dust isn’t spherical. It has tiny edges which scratch and eventually wear at your upholstery. Abrasions cause a thinning of the fabric and a loss of sheen. Upholstery cleaning removes these particles, keeping your furnishings in factory shape even longer. Allergen removal – Furniture filters dust and allergens from the air. This comes from air movement and static electricity from friction. Yearly upholstery cleanings remove these allergens from your furnishings. That way they don’t get recycled back into the air, causing any number of problems. With so many reasons to get upholstery cleaning in Vancouver, WA there’s no better time than now. Call (360) 903-0742 or contact us for all your upholstery cleaning by Vancouver, WA professionals.